Microsoft announced that they are removing Messaging Everywhere app from the Windows 10 Anniversary Update. Starting with Build 14376, Insiders will no longer able to reply to text messages from their phone via the Messaging app on their PCs. But the company will continue to focus on bringing a much better experience to the Skype app. 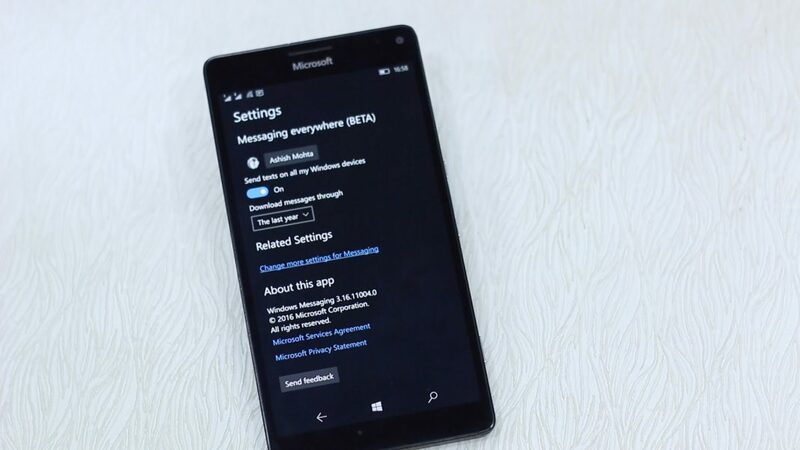 Windows mobile users will no longer be able to sync text messages between PC and phone. Messaging Everywhere app had a neat feature that allowed easy SMS texting from Windows PC without the need of picking up your phone. Now Microsoft is going try to put SMS feature into Skype UWP app(which is also in development). Meanwhile, SMS from the Windows desktop will still be possible with Cortana.